PRIME Minister Peter O’Neill says funds allocated to the health sector are transferred directly into the accounts of hospitals. 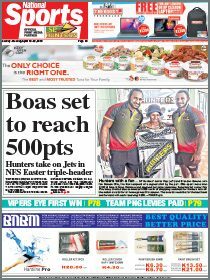 O’Neill said each hospital received K10 million while the Angau Memorial Hospital and Port Moresby General Hospital received more. He said the Angau Memorial Hospital had more than K15m in its trust account to be used to build a new hospital rather than waiting for the Australian government’s support. He was responding to questions from Lae MP Loujaya Kouza on funds to pay for new machines and to upgrade facilities in Angau Memorial Hospital. She said since Angau was the only hospital in the country with a cancer treatment facility, the Government should commit K10m to buy new machines. Kouza was also concerned that oncologist Dr John Niblett had been ordered to leave when cancer remained the cause of many deaths. 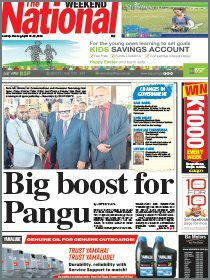 She also asked that Angau be considered a university of PNG medical faculty teaching hospital so that services were extended to rural areas through the training programmes. O’Neill said Niblett’s departure was a decision taken by the Health Department. On the improvement of hospital and upgrading of facilities, O’Neill said some funds from the Community Development office should be used to buy new machines. He said there was a serious flaw in the hospital management and called on the provincial and local MPs for their cooperation to improve the hospital facilities.